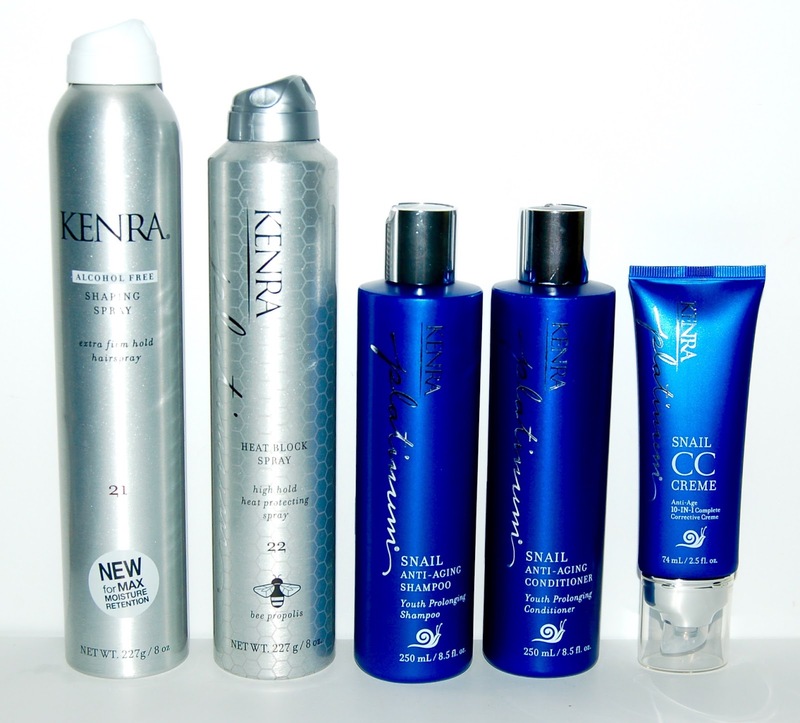 If you're a reader of my blog, you know that my favorite haircare line is hands down Kenra Professional! Today I'll be sharing my thoughts on the recently launched, brand new Snail Anti-Aging collection, Alcohol-Free Shaping Spray 21, and Heat Block Spray 22. Let's start with the Snail Collection! This shampoo is supposed to provide extreme softness, shine and "youthful movement". The conditioner delivers moisture, radiance, and resilience to the hair. 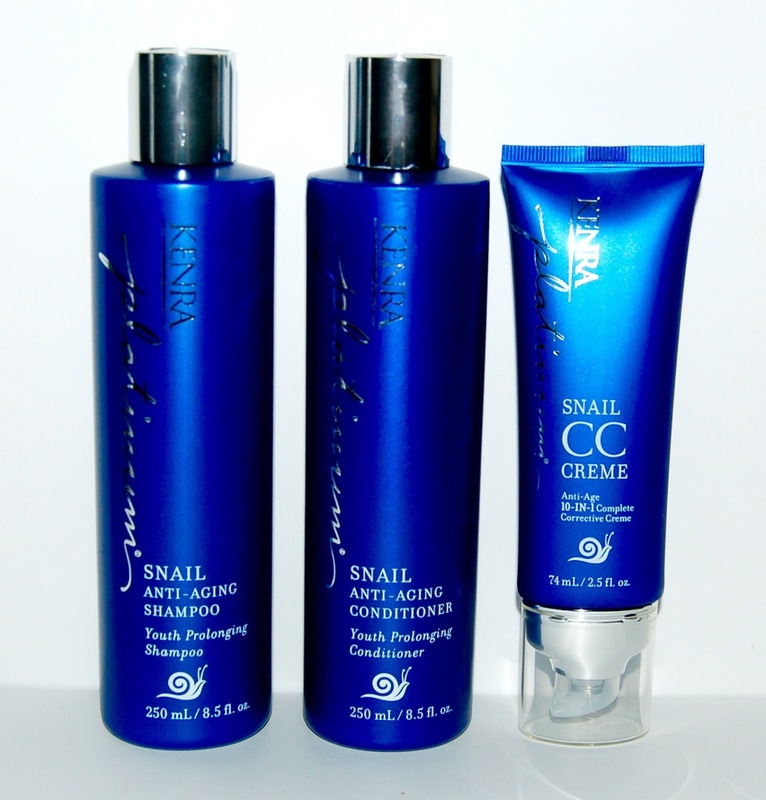 The Snail CC Creme is an anti-aging 10-In-1 Corrective Creme. It's a lightweight leave-in-creme that restores and prolongs the youth of your hair. I used these three products together and they made my hair insanely soft and I found that my hair felt really light, as if it had a lot of body, which is rare feeling for me! I think this is due to the "light-ness" of the conditioner and the CC Creme because neither product weighed my hair down. My hair is super dry so I still prefer a more moisturizing and thicker conditioner but if you love light-weight hair products, then this line is absolutely perfect for you! This is the first professional alcohol-free hair spray. It provides extra hold and shine without drying out your hair which sounds like a godsend for me and my super dry hair. I tried it and it does a great job as a hairspray and it's nice to know it will not dry my hair out even more than it already is. This product is enriched with bee propolis, a natural resin that forms a cast around the hair cuticle for great protection. Bees aren't harmed in the making of this product. Bees mix their own beezwax with enzymes and they use that to seal and protect their hive. To learn more about how bees make propolis, click here. 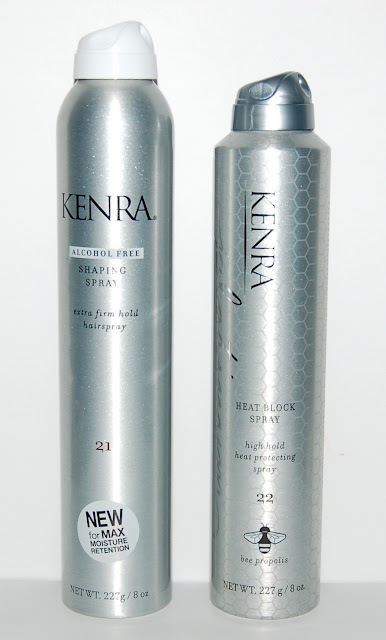 This is actually a heat protectant spray as well as a finishing spray. It dries on contact and provides heat protection up to 450 degrees. You can use it while your styling your hair, and then spray it on after you are done styling to hold the style! I sprayed this on my hair before I curled it with a curling iron and because it dries so quick, I didn't feel like I was frying my hair. Then I sprayed a bit more after I was done styling. This held my curls all night without making them feel too stiff. 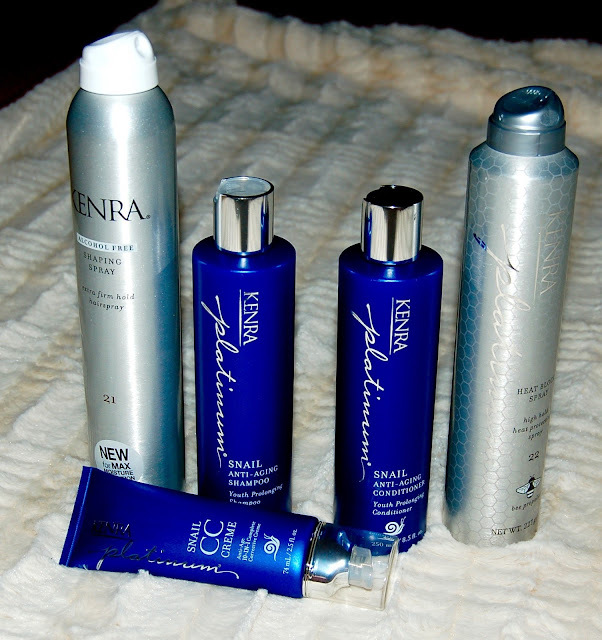 I enjoyed every one of these products! My favorite of the bunch is definitely the Heat Block Spray.